Welcome to Northeast Ohio Foot, Ankle & Wound Center Inc, your experienced podiatrists in Warren Ohio. We hope you find our website informative and helpful as you search for a Warren podiatrist you can trust. We’re confident you’ll find an unmatched quality of care from the foot and ankle specialists at Northeast Ohio Foot, Ankle & Wound Center Inc. Foot pain is never normal. Bearing the brunt of your entire body’s weight, when your feet ache, your entire body aches. With proper diagnosis and treatment, most foot and ankle problems can be treated successfully. Northeast Ohio Foot, Ankle & Wound Center Inc will listen to your symptoms and provide you with an individualized treatment plan to return you to those activities you enjoy the most! Our doctors and staff take the time to listen to your concerns, and then use the latest treatments and technologies to treat them. Let Northeast Ohio Foot, Ankle & Wound Center Inc be your choice for podiatrist in Warren for all of your foot and ankle needs. James J. LaPolla, Jr., D.P.M. Dr. James J. LaPolla, Jr., is a Board Certified Physician of Podiatric Medicine, that is, a surgeon of the foot and ankle. 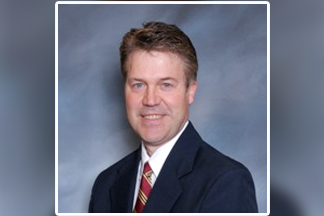 He is The Chief Podiatric Surgeon of Northeast Ohio Foot, Ankle & Wound Center Inc. with offices in Howland and Brookfield. "Dr. LaPolla was very nice and thorough in the explanation of my problem."